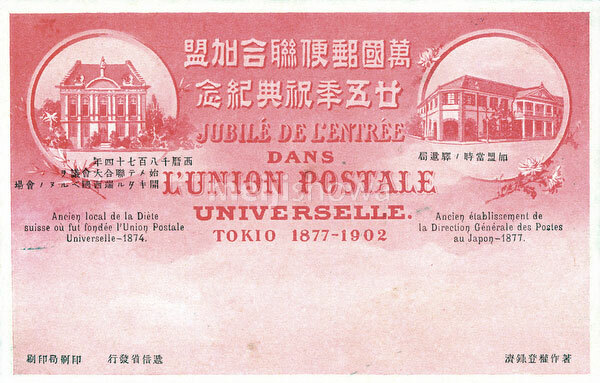 Postcard commemorating the 25th anniversary of Japan’s entry into the Universal Postal Union (Jubilé de l’entrée dans l’Union Postale Universelle. Tokio 1877-1902.) Postcard dating from 1902 (Meiji 35).